These aren’t your run-of-the-mill flashcards. You may just want to sneak these straight past the kids and onto a wall as artwork. 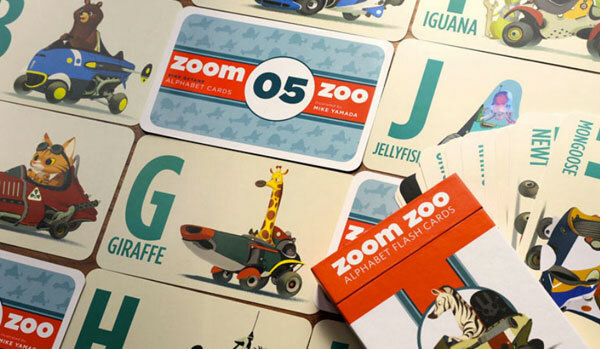 The Zoom Zoo Flashcards are illustrated by the multi-talented Mike Yamada of Dreamworks Animation fame. 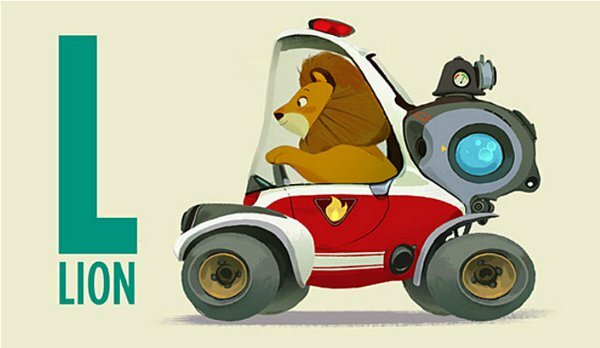 For this project, his distinct style has been influenced by the iconic Busy Town children’s books by Richard Scarry. Each flashcard features an animal corresponding to the letter it represents, driving or piloting a 1960s inspired vehicle. The illustrations are exquisite, and I can just picture my son’s eyes lighting up at each crazy contraption. If you (and your child) are a little bit bored with “A is for Apple”, these flashcards will bring much-needed alphabet inspiration! 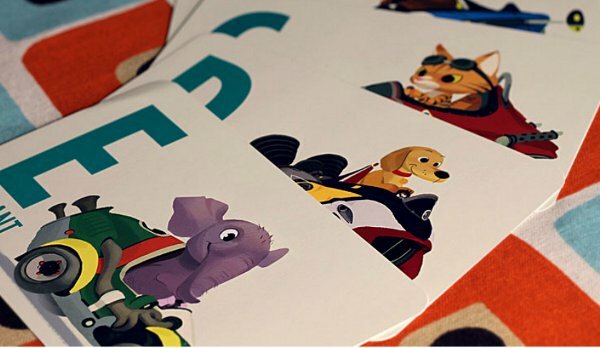 A set of twenty-eight Zoom Zoo Flashcards is US$25.99 from Extracurricular Activities, plus shipping to Australia.